Tipton did not waste any time comparing his opponent to Democratic U.S. Sen. Elizabeth Warren and Independent Sen. Bernie Sanders. Mitsch Bush, however, quickly pushed back at Tipton’s socialist portrayal of her candidacy and told the audience that she would promote bipartisanship and not fall victim to big donors but rather serve her constituents. When asked if she would support Nancy Pelosi as Speaker of the House should the Democrats take control of the House this November, the former state representative and Routt County commissioner responded, “I am going to support the candidate who is best for our district. 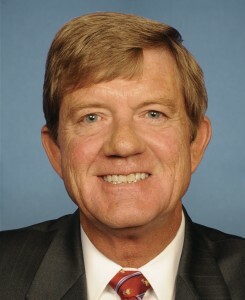 U.S. Rep. Scott Tipton, R-Colo., said his Democratic opponent, Diane Mitsch Bush, wants single-payer health care, refuses to take a position on the Jordan Cove liquefied natural gas export facility, and would vote for U.S. Rep. Nancy Pelosi as speaker of the U.S. House of Representatives. Mitsch Bush said Tipton hasn’t done enough to help farmers and ranchers get the migrant workers they need, only started supporting the federal Land and Water Conservation Fund in an election year, and backs President Donald Trump entirely too much. We mentioned last week the debate over the Jordan Cove LNG export project, and Tipton’s mistaken claim that Mitsch Bush had taken a position on the highly controversial project. He corrected that mistake in time for this weekend’s debate, but it didn’t matter–by all accounts Tipton’s Democratic challenger was fully in charge, and easily demonstrated her ability to keep pace with the incumbent. It’s always been our opinion that Tipton isn’t very good on stage, even with a script. A good opponent really makes Tipton’s oratorical inadequacies stand out. CD-3 is still the Democratic “reach goal” in a year of high wave year hopes. What we can say, based on Diane Mitsch Bush’s strength in this weekend’s Club 20 debate, is that this was a good day to keep hope alive. I don't care if she's a one term wonder like Betsy Markey. Let's retire Tipton this year and then worry about it. If Tipton gets thrown off his talking points, he's toast. He cannot communicate in any other language.